The Telluride Railroad Depot Now. 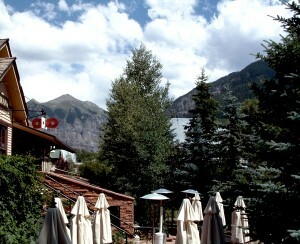 This area was a bustling, noisy, and exciting part of town after the railroad reached Telluride in 1891. 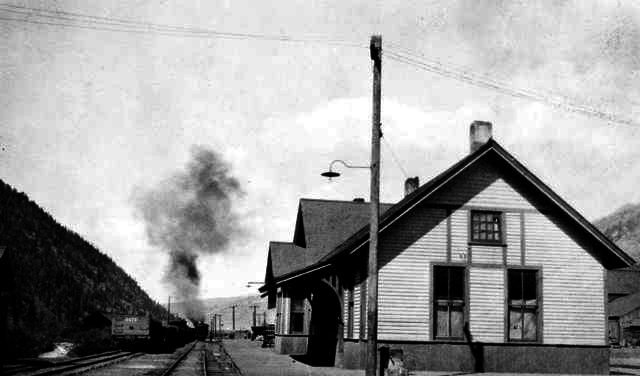 The depot was surrounded by boardinghouses and warehouses, some of which are still standing on San Juan Avenue. 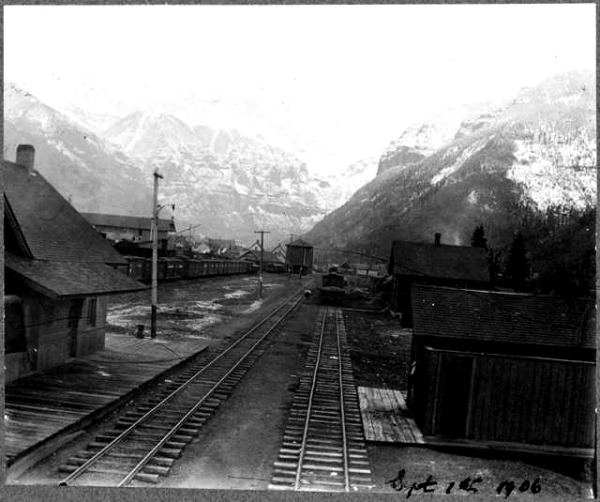 Telluride sported one of the largest Depots on the RGS and it still stands today. It had the classic architecture with wooden siding and shingles. 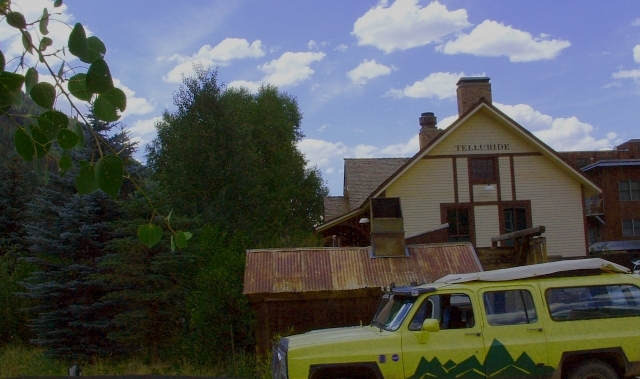 This building was restored by locals in 1991 and has been a several types of restaurant in the recent past and is now the home to the Ah Ha School, an Artsie Fartsie kids Summer camp and classes. The Telluride Railroad Depot looking East, Then! 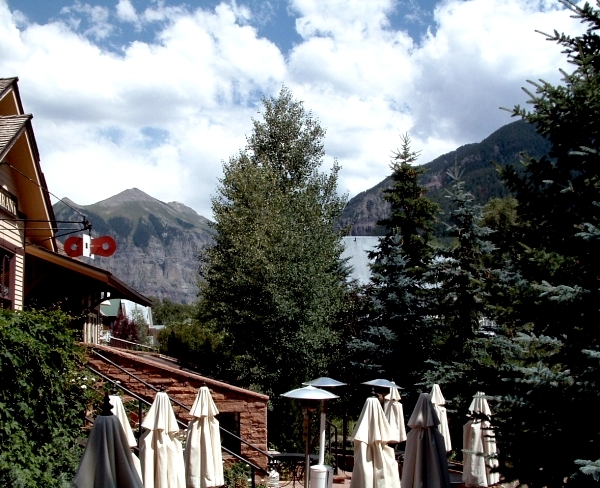 The Telluride Railroad Depot,Again. I would call this the back of the Depot, but in the day that it was the Depot, this was the front, the side the train pulled up to. This was a tough one to find the spot of photo (SOP) as there are major trees and other landscape and architecture in the way but a nice contrast! I am glad to see that the Telluride Railroad Depot has been so well preserved! Took me awhile to wrap my head around this! I had to find another map and flip it to try to figure this out but apparently the Y went up the Alley behind the Smugglers Brew Pub which is a refurbished old Warehouse and then behind the Library, which for Telluride is a rather level area. So I finally see what the heck has my head spinning, on this map, the River they have drawn in is on the wrong side of the Telluride Rail Road Depot, ignore that and this all makes sense. Ever take then and again photos, please share them on our Facebook Page!